You would be thinking that why I often write about deleting all emails at once from your different email accounts. This is because of the day when I was very new to Gmail and looking for the option to delete all unwanted mails from my inbox but felt a great difficultly in deleting all Inbox mails at once. 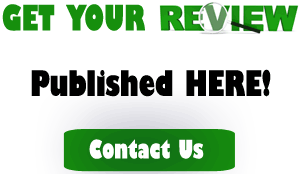 So, after that day, I started making accounts on different email services like Yahoo, Outlook etc and finding out such useful tricks to help the beginners. Honestly, the today’s article is also made for beginners of Outlook. In fact, you wanna delete all emails at once from your Outlook account, no need to worry now. Just read out this complete post and you’ll be able to empty your Outlook inbox. Deleting all mails from your Outlook inbox is as easy as 1, 2, 3. So, the primary thing is to visit https://outlook.com and log into your account with correct credentials. 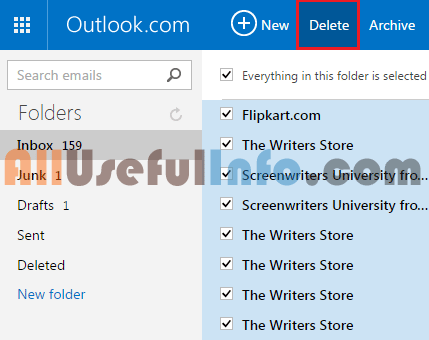 Next, click on the Delete button to delete all mails from your Outlook inbox. It’s all, as soon as you will click on the Delete button, the complete messages in your inbox will be deleted. But, remember that the mails was not permanently deleted, in fact they are just moved to the Deleted folder of your Outlook inbox. So, simply go to Deleted folder and just do click on Empty button to delete all the mails in your Outlook account permanently.